Sit back, relax, and enjoy dental services for the entire family. That’s the mantra we live by here at the dental practice of Deeann Bennett DDS, PA. Located in beautiful Coppell, Texas, it’s our practice’s mission to ensure that every patient enters a serene and relaxing environment while being treated with the utmost respect and compassion. Most importantly, we want our patients to feel like part of our dental family, just as we would want to be treated ourselves. Apart from being equipped with the most state of the art technologies modern dentistry has to offer, our practice offers a wide range of amenities to help each client feel at ease while undergoing their treatments. We strive to provide the highest quality of dentistry without the stress and anxiety that is normally attributed with a visit to the dentist’s office. So sit back and relax with us to experience a trip to the dentist’s office like no other. Dr. Deeann Bennett has been helping bring beautiful smiles to the residents of Coppell for 20 years. In the fall of 2013, Dr. Bennett opened a new office location with the hopes of providing a calm and relaxing environment for her patients while providing modern care and amenities. 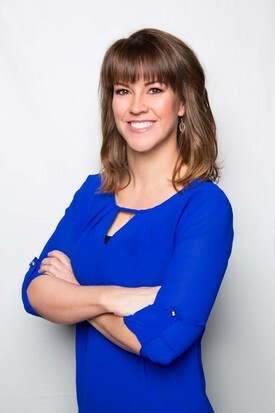 Dr. Bennett received her Doctor of Dental Surgery degree from The Ohio State University and then completed her residency of Advanced Education in General Dentistry at Baylor College of Dentistry. She was also awarded a Fellowship in the Academy of General Dentistry. As a vested member of the dental community, Dr. Bennett is an active member of the American Dental Association, Academy of General Dentistry, Texas Dental Association, Dallas County Dental Society, Irving Dental Study Club and Coppell Chamber of Commerce. In her spare time, she is active in St. Ann’s Catholic Church and the “Happy Bookers” book club. She enjoys spending quality time with her close friends and family – especially with her son and daughter. Dr. Bennett is deeply passionate about all aspects of dentistry. It is her goal to ensure each and every one of her patient’s road to that perfect smile is taken with the utmost care and personal attention. Becky currently plays a crucial role in our office, helping things run smoothly and working hard to foster the warm, compassionate, and professional atmosphere we strive for at our practice. Becky moved here from Lubbock, TX over 17 years ago. She first entered the world of dentistry by working as an orthodontic assistant in her hometown. She loves the interaction with patients and watching them achieve beautiful smiles they love! As our office administrator, Becky helps each of our patients have a positive experience. From explaining dental insurance benefits to coordinating treatment to answering questions, Becky is an invaluable asset to our team! When she is not busy at the office, Becky enjoys spending time with her three kids. Becky loves cooking and experimenting with new recipes, but also appreciates checking out new restaurants. She actively pursues continuing education classes to further enhance her skills and loves being a part of Dr. Bennett’s office! Danielle is a wonderful addition to our team! Her bright, cheerful smile is the first thing patients see as they enter our front office, but she wears many “hats” around here. You will see Danielle helping everywhere. After graduating from Austin Community College in 2014, she dove right into chairside assisting for a dentist in Austin. She moved to Dallas recently and came highly recommended by that office. She’s a team-oriented person and loves contributing to the success of the practice. Danielle says she decided to join the dental profession because of her fond memories of the dentist, as a young child – she even cried once because her dad forgot to take her to her dental appointment! In her free time, she enjoys hanging out with friends and family, running, attending concerts, the Dallas Mavericks and Texas Rangers. Stephenville is her hometown and she goes back frequently to visit friends and family. Kim joined our team in March 2014. 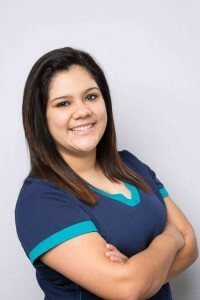 She completed her training at North Central Texas College and has worked in dentistry since graduating in 2011. What she loves most about her job is having the chance to bring a smile to each patient's face. As Dr. Bennett's assistant, she will make sure you are comfortable and relaxed during every procedure. She enjoys all of her patients and watching them achieve their dental goals as well as watching their family grow. When she's not working, Kim enjoys spending time with her friends and family, attending concerts, traveling, and photography. She also loves watching the Denver Broncos and attending Texas Ranger games with her husband and two daughters. 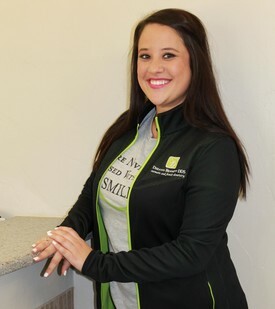 Jan graduated with a Bachelor of Dental Hygiene Science degree from Wichita State University, exudes enthusiasm and a caring attitude that will calm your fears if you’re nervous about a visit to the dentist. Jan loves all facets of dental care and working with a wide variety of patients. She understands that anxiety is natural when most people visit the dentist: Her soothing manner transforms their visits into positive experiences. Jan is dedicated to helping her patients maintain the highest level of dental hygiene. Through a nonjudgmental, professional manner, her approach to dental care always eases her patients. 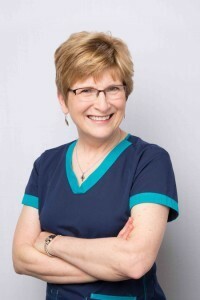 While Jan embraces all aspects of dental care, she most enjoys the educational process where she coaches patients in preventative care, giving them the information they need to take home and prevent gum disease. Jan and her husband, Mike, the parents of three accomplished daughters, are active in their church in Grapevine. When their children were in school, the family enthusiastically became swimmers, joining teams and giving their all to win. Perky by nature, Jan’s personal interests lead her in many directions, the most recent being dancing lessons with her husband, kickboxing, and cycling. We are excited about Kali joining our team this year! She graduated with her Bachelor of Science degree in dental hygiene from Texas A&M Baylor College of Dentistry. 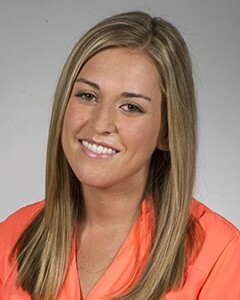 Kali loves connecting with her patients and is consistently complimented on her calm demeanor and gentle touch. She grew up in Grapevine graduating from Grapevine High School. Kali’s interest in dental hygiene began through a friend who is also a hygienist. She began to shadow her at work and realized how much she enjoyed the opportunity to interact with patients and help them improve their oral health. Outside of work, Kali enjoys weight training and taking spin classes at Zyn22. She also loves the outdoors, especially wakeboarding at Possum Kingdom Lake with her family and friends. While attending church in Southlake, she volunteers in the children’s ministry. Kali’s tranquil disposition adds to the perfect balance of positive personalities in our practice.